Hilmar Veigar Pétursson is the CEO of CCP, the developer and publisher of the global phenomenon EVE: Online. More recently, the company has made a big splash in virtual-reality games with Gunjack and EVE: Valkyrie. Through his experiences with EVE, Pétursson has become focused on raising the human connection to gaming. At D.I.C.E. Europe 2016, he’ll be talking about what games can offer humanity. In the conversation below, he discusses how virtual worlds can elevate humanity and society, as well as why he’s a Charmander fan. At DICE 2014, you said that CCP's core purpose was "to create virtual worlds more meaningful than real life." Given DICE Europe's theme of "World Builders," how has the company progressed with that goal? When I said that, it was kind of at the dawn of virtual reality, which we're still in. Even though a lot has happened since then from a commercial standpoint, we're still not looking at a very large installed base for VR devices. We have remained committed to getting this whole thing going. We've released Gunjack on the Gear VR at the end of 2015 and then on March 28 this year we released Valkyrie for the Oculus Rift. Valkyrie will be coming out for PlayStation VR and the HTC Vive. We're going to be offering cross-play across all platforms. We're really excited about that. We'll also be bringing Gunjack to different platforms -- the Oculus Rift, HTC Vive, and PlayStation VR. We'll be doing the next iteration of Gunjack on the Google Daydream platform later this year. You personally seem to be very concerned about the human aspect of gaming. Last time you spoke about the human brain as a gaming platform. At DICE Europe you'll be talking about the human benefit of computer games. Without giving your whole talk away, what does gaming have to offer humanity? I think we're just beginning. How old would you say computer games are? Let's say 30-years old. For the greater part of those three decades, the majority of games have been single-player. It's one person playing against a device, not unlike solitaire. I am personally very interested in when you add a social dimension to it -- when people are playing with other people. What we've learned through our work on EVE: Online is that once you start playing with other people, you're part of a society. If you look at society as a computer game -- at least the socio-economic aspects of society -- it's a fairly upstart endeavor. Money, debt obligation, and the concept of possession are really virtual phenomenon. They're social constructs that we've trained ourselves to adhere to over thousands of years. They're upheld mostly through paper, as well as our own understanding of rules and regulations. I believe that with computers, we will be able to elevate and accelerate those concepts quite a bit. We've been inspired by a lot of what we've learned though EVE: Online. You could basically call it a society. I wouldn't call it a country, because that's a very specific thing, but it has all the expressions of a society. It has its own social economy. People value the things in that world. They have a similar relationship to their possessions in the virtual world as they do in the real world. Even though EVE: Online was one of the first games made like this, in many ways it can be improved upon a lot. It's the first hint of what can be done with games. And then we see virtual reality and how we can really engage with the rest of the human senses. Then you can buy into the notion that not only do you belong to a virtual world in the abstract, but you can also buy into the notion that you are part of a virtual world in a concrete, physical sense. Even though you aren't, so many of the body's sense are engaged that you feel like you are. The illusion takes a step further. I believe that with advances in both concepts -- these vast, massive social worlds and economies -- coupled with advances in the visual domain with technologies like virtual reality, we will be able to really bring about a virtual world where we have higher and deeper relations with each other. Physical reality is, in many ways, kind of primitive. We have to implement the atoms of the Earth to create clothing to express our personalities. It's taking away resources that could be used for something else. Ninety percent of what we buy for our homes is out of them six months later as trash. We have all these very wasteful processes that we'll be able to implement much more efficiently using technologies in computer games. In many ways, we're trying to tell this to ourselves in science-fiction, whether it's The Matrix or other works that discuss the virtualization of social interactions. From the outside looking in, does it seem unusual to you that someone trained in engineering is so concerned about the emotional -- somewhat unidentifiable -- aspects of games? Probably. And you wouldn't have heard me say these things a decade ago. Being in a...I would almost call it a relationship with EVE: Online and having the responsibility to operate a world like that -- it changes you as a person. All these things have been taught to me from doing that. In what other ways has EVE: Online changed you and your worldview? There's an interesting aspect with EVE, which is it's a very laissez-faire world. It's a world where you can basically do whatever strikes your fancy. You can look at it as one large-scale social experiment on how people behave under such conditions. What I've seen is that when it comes to successful long-term life in EVE: Online, it seems to me that operating in accordance to what we regard as good -- which I will summarize as saying what you do and doing what you say -- is a winning strategy in the game. I've been inspired by taking part in something that shows this. It has given me high hope in mankind. One of the issues you'll be tackling at DICE Europe is whether gaming is simply about reducing boredom or if it's about achieving something greater. Is reducing boredom in an increasingly crazy world not great enough? Reducing boredom is perfectly fine and an absolutely worthwhile pursuit. I would just like to take it a step further and see if we can use gaming to stretch our own abilities. That relates to what I said before about building virtual worlds that are more meaningful to real life. Can we take computer games to an arena where we as people start to develop faster? The technologies that we have and the ones that are about to come should be able to engage our senses and build new pathways in our brains that should allow us to go further as a species. Augmented reality seems to have tremendous potential to increase human interaction through gaming. Do you have any ideas on that front? There are several layers to augmented reality. We use augmented reality every day when we use Google Maps on our phones. We use a computer overlay to help us navigate on a map, for example. I think the true vision for augmented reality and mixed reality, where we're wearing devices on our head that are projecting light onto our retina mixed in with light from the real world, is a few years off. We have our eye on that, but right now we're focused on virtual reality, because that's a concrete thing we can make games for now. 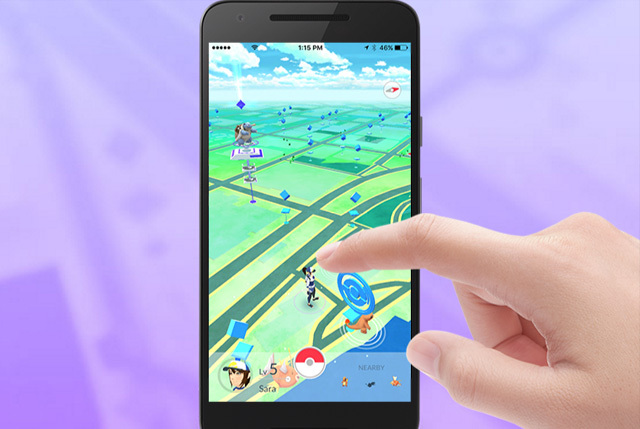 What do you make of the Pokemon Go phenomenon and how that game has used AR? Pokemon Go is based on Google Maps, which was built on decades of investment in mapping and alternate-reality overlays. Using the technology from Ingress, Pokemon Go is a major example of what we can achieve on top of the technology we have when it all comes together. Obviously it reflects the power of the IP. Ingress has been in development for a while and I've been playing it for years. When you simplify and streamline the game and put Pokemon on top, then you engage the whole of mankind in a phenomenon. I've been playing it with my kids and I love doing it. My takeaway from that is how much power there is in the mixture of technology, IP, and games, especially when you have these longstanding technologies that haven't been leveraged to their full potential. When someone lines up all the stars, you can have a supernova like Pokemon Go. You mentioned that you've playing it with your kids. Do you have any favorite Pokemon? I'm only level 14 right now. All the gyms I see these days are way overpowered, so I haven't been battling a lot. I've been collecting and preparing, so I don't really have a favorite Pokemon when it comes to fighting. But based solely on looks, I like Charmander. The fire on his tail is cool.